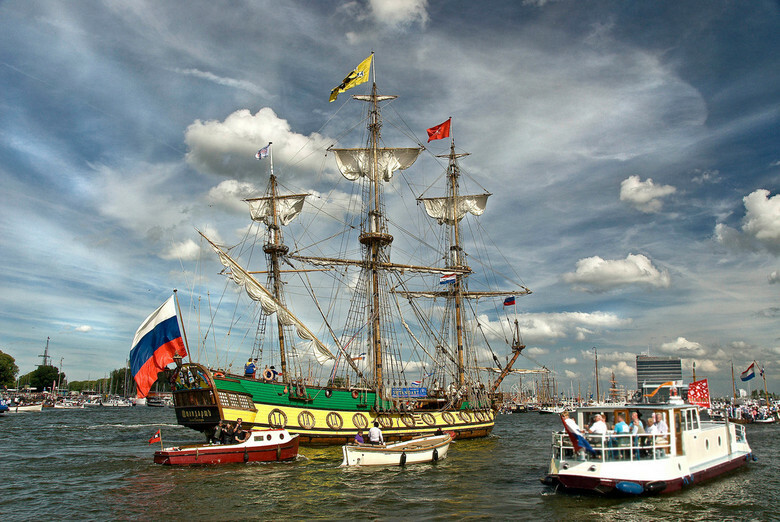 After the Tall Ships Races regatta “Shtandart” will set sail to the Netherlands. There are two route options: the ship can either path through the Skagerrak strait to the North sea or (more likely) through the Kattegat, with possible stops in Elsinore and Copenhagen, to the Kiel Canal. That way we’ll enter the North sea near the island of Helgoland. We plan to arrive in Lelystad on 11th August (it takes 45 minutes by train to come there from Amsterdam). There the frigate will stand at the pier with the famous sailing ship “Batavia”, which is considered the most reliable copy of the XVII century sailing ship in the world.